From the Monterey Bay Aquarium to the San Diego Zoo, Level 10’s construction professionals have completed entertainment projects that contribute to the economic and social vitality of their communities, while creating rich experiences for guests. Our ability to plan, budget and coordinate the highly technical requirements of this work — including construction on occupied, fully operational sites — has been validated by the clients who consistently award us repeat projects. 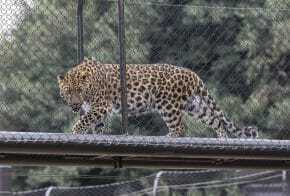 We build zoo and theme park exhibits where animal and visitor safety and well-being are paramount. Aquariums that require following tide calendars and stringent environmental precautions. Throughout California, we’ve met the unique challenges brought by this highly-visible mode of construction, delivering safely, on time and within budget. 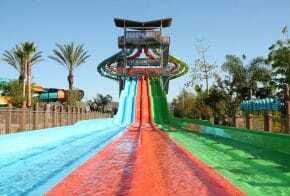 375-ft. waterslide built in occupied theme park. 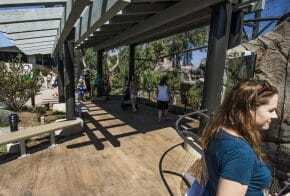 New habitat for mountain lions built in fully operational San Diego Zoo.